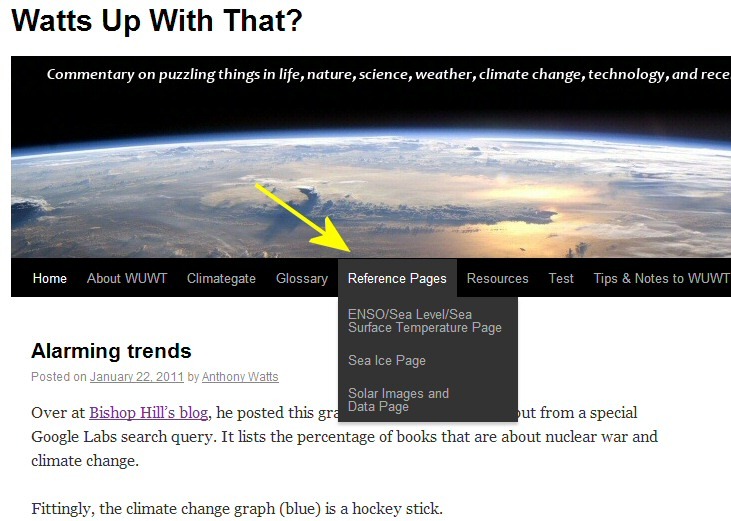 New WUWT Ocean Reference Page added | Watts Up With That? As part of the ENSO page makeover we’ve also added a new section on Equatorial Pacific Subsurface Ocean Temperatures and Anomalies. If you have any suggestions for additional plots, graphics, animations or data you think might be valuable additions to our existing Reference Pages, or new WUWT Reference Pages you’d like see, please let us know. Thanks to WUWT regular Just the Facts for his continued efforts in helping to develop WUWT’s Reference Pages. February 15, 2011 in Announcements. Still have not put up the data from the last three months of 2010. These reference pages bring all the latest data right down to a single mouse click. What else could one wish for? All those who call your blog “anti-science” ought to be ashamed of themselves. 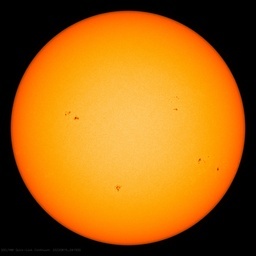 They ought to be kissing your hands for making climate and solar data popular and so easily accessible. Anthony, dude, your blog is true pioneer in popular science blogging. Anthony, thanks to you and your team. The scope of your up-to-date material on WUWT makes this a one-stop treasure trove of interactive global climate-related information. All schools should be using these materials you have made available to us as they do so much to dispell myth and ignorance about our planet. You belong to that group of scientists characterised, (by me,) as tough minded altruists. We can never have enough of them in mho. Another incredible resource. There’s just nothing else like it anywhere else on the internet. Pretty much every phenomena that relates to weather and climate, except perhaps vulcanology, all nicely packaged and in one place. You and the team who put this all together should give yourselves a giant pat on the back. Thank You. Thank you, Anthony, and thank you, just the facts! The reference pages are such a valuable feature of WUWT – informative and educational in one fell swoop. I can’t think how I’ve been able to manage before they existed! Where’s the surfer? This website is soooooo good! Unbelievable! Thanks. The surface currents plots just about gave me an epileptic fit! While I’m a recovering surfer (I live in Texas, those who surf understand), I don’t believe that the wave would be any better with someone shooting the barrel. I might suggest that one of the shots of Mavericks or the Cortez Rocks would truly show the real power of Nature and the Ocean. 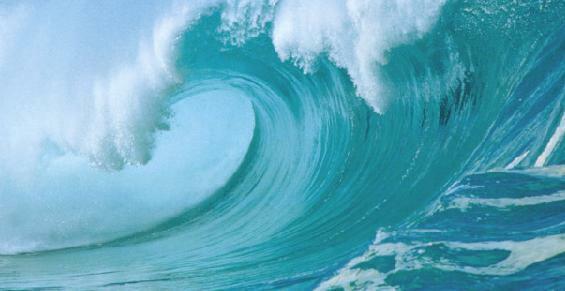 Of course there are numerous sites around the world with truly great waves, so feel free to rotate through them. I think our Oz friends would appreciate it as well. How about a plot on the Great Lakes Ice cover on your Sea Ice page. The great lakes Ice cover vs. historical numbers, should be a reasonable bell weather for North American temperatures. Then on the NRL plot in your new Ocean Page, why is it showing the Northern Hudson Bay being above freezing, when it is clearly ice covered? I know it is not your data, but I thought you might know why. Another excellent addition to the science blog of the year, hopefully. and an equivalent US site. The more light that is thrown upon the uselessness of ‘wind power’ the better, before they spend all our money on ‘bird mincers’. wsbriggs, at first glance I thought the shot looked like Waimea shorebreak, which is as powerful a display of ocean power as any (only kamikazes and suicidal boogie boarders would dare attempt such a dangerous beast), but after further examination, it probably is too thin-lipped. I find a number of these charts confusing. That would be helpful as a one-stop shop. Thanks. Maybe a reference page preserving raw data sets that are in danger of being altered or buried. This would also serve as a disincentive for NOAA, BMO, CSIRO, NIWA, HADCRUT, GISS, etc. to jetison or redraw “historic curves”. A section of it could have links to the chains of manipulated data (GISS went to a great deal of trouble to push the 1930s down below current temps as recently as 2010 to make 2010 the hottest year on record). I love the animations of this and I think your lawmakers might appreciate this kind of picture-worth-a-1000-words display. Yep, we’ll add them to the Source Guide at the bottom. We’ll certainly consider and take a look around to see what’s available. An interesting link, but not one that we can add as a graphic. If you put your cursor over the pic, right click and select View Image, this is what we can use. For this link, unfortunately, it’s nothing. 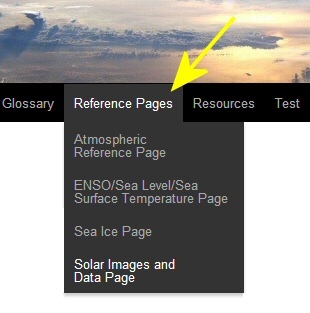 We’ll add the link to the Source Guide of a future reference page. Interesting, we’ll definitely consider this. First we are probably going to Geomagnetism, Tropical and Extratropical Cyclones/Vortices, but I’ll add Climate Indicators to the reference page list. Thanks. Is it possible to have UAH ch05 daily record graph? A graph that only shows the current temp, last year’s, the high, the low and the average? There is already a direct link on the right bar of WUWT but it would be nice to have it close and handy. My browser also cannot show the graphs on the link posted by Dr Watkins. However this link provided by Dr W. to the UK New Electricity Trading Arrangements (NETA) website does work. Here is a useful link to the World Sunlight Map @ die.net with regularly updated planetary cloud cover. “Is it possible to have UAH ch05 daily record graph? A graph that only shows the current temp, last year’s, the high, the low and the average? it’s interesting that there are no trolls here. They really attack some topics but leave others well alone. “it’s interesting that there are no trolls here. It is listed under ‘Tools’, between ‘Skeptical Views’ and ‘Live Weather Roll’ on the right bar. The link takes you to their web page for a graph where you have to choose the channel and tick several boxes for comparison. It is ch05 that we’re supposed to be keeping an eye on. however it is written in Java, i.e. if you right click on the graphs you’ll see that there is no way to copy these images onto WUWT. Could I please request that the animations in both ocean reference and atmospheric reference pages be started by the viewer, not automatically. In our part of the world bandwidth is not unlimited unless you pay a monthly megafee. A typical monthly volume is 1GB. The atmospheric page took near 80MB and the ocean page about 60 MB which is a huge when you have to keep to a daily average of around 33MB. “Could I please request that the animations in both ocean reference and atmospheric reference pages be started by the viewer, not automatically. That is a great idea, i.e. “the animations … started by the viewer, not automatically”, however it is not really feasible given the current technology. The bandwidth issue presents an interesting quandary. I am inclined to build low-bandwidth versions of the Atmosphere and Ocean Pages with static images and links to the animations, but also leave the current pages reasonably intact (the high-bandwidth Ocean Page needs a bit of a hair cut any way).